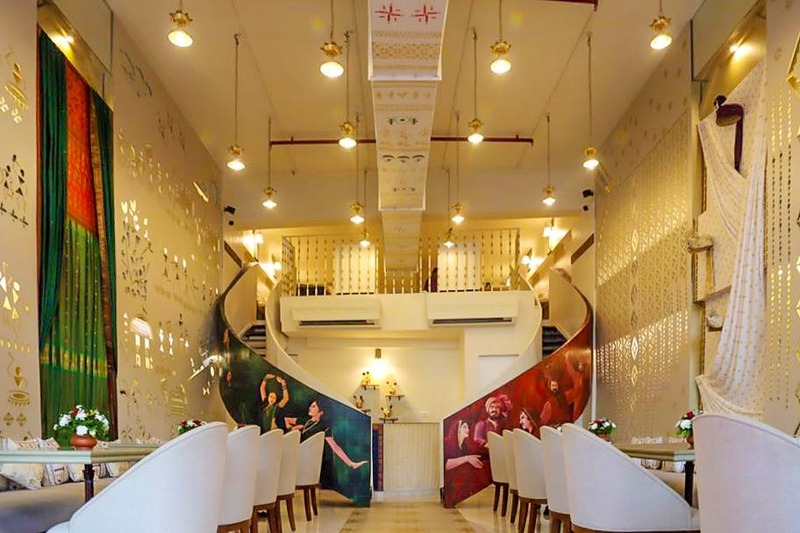 A real-life story of the union of two people, North meets West, has inspired the opening of a new restaurant in Thane, that focuses on a mix of two cultures – Punjabi and Maharashtrian, both in food and ambience. With hostesses wearing traditional Maharashtrian sarees and the servers in Pathani kurtas, the restaurant has a mix of both cultures even in the décor, with Warli and Phulkari designs, that adds a personal touch. You have two cuisines to tempt your tastebuds here. If you’re opting for Punjabi, take your pick from the chaat section, serving delicacies like dahi bhalle, chole bhature and more, to tandoori chicken and kebabs, rajma masala, daal gosht, butter chicken, matter ki kheer or even some moong dal halwa. The Maharashtrian section has wadas and bhajis as appetisers, bhareli maasa, mutton sukke, kheema pattice, goda kolambi fry, kheema ghotala, and a host of other delicious options. To cool you down, they have a range of beverages – sol kadi, kokam sarbat, panha, Patiala lassi and even mocktails to keep you going. If you’re from either of the two states, a visit to this new restaurant will surely bring back all those amazing home memories. Even otherwise, for a lot of us who aren’t, there are new flavours to explore and the thought of a merger when it comes to food only excites us further. Authentic Way Of Dining Maharashtrian And Punjabi Cuisines!